I believe this will be my fifth recipe involving quinoa. Looking over the statistics for my site, my quinoa recipes are also some of my most popular recipes. I’m not alone with my infatuation. Quinoa seems to be an American obsession at the moment. And why not? It’s as tasty and easy to make as pasta (faster than rice) and it’s really nutritious. This recipe is really tasty too, with lots of healthy mediterranean ingredients like tomatoes, artichokes, olive oil, and pine nuts. For dinner I serve this dish warm, as a side with grilled chicken or fish. Or (with the quinoa and olive oil and pine nuts), it’s hearty and filling enough to have alone as a light lunch. The recipe makes a lot (about six servings), but it holds up well as leftovers. And with all the nutritious ingredients, I feel like I’m doing something very healthy for myself too! Bring three cups of water to a boil in a saucepan, and season with salt. Add the quinoa and reduce to a simmer. Cover and cook until the water is absorbed, about 10-12 minutes. The quinoa is cooked when the spiral germ becomes visible around the grains. Meanwhile, preheat the oven to 375 degrees F.
Arrange the pine nuts on a parchment-lined baking sheet and toast in the oven for about 5 minutes, or until they become light golden. Watch carefully, they burn quickly! Place the frozen spinach in a heat-safe container and microwave until thawed. Transfer thawed spinach to a fine mesh strainer. Arrange strainer over a large mixing bowl and squeeze spinach, wringing dry, until all excess water is drained from the spinach. Heat the olive oil in a sauté pan over medium heat. Add the garlic and cook until softened, about 2 minutes. Add the spinach, artichokes, and tomatoes and simmer until heated through, about 5 minutes. Season with salt and pepper. 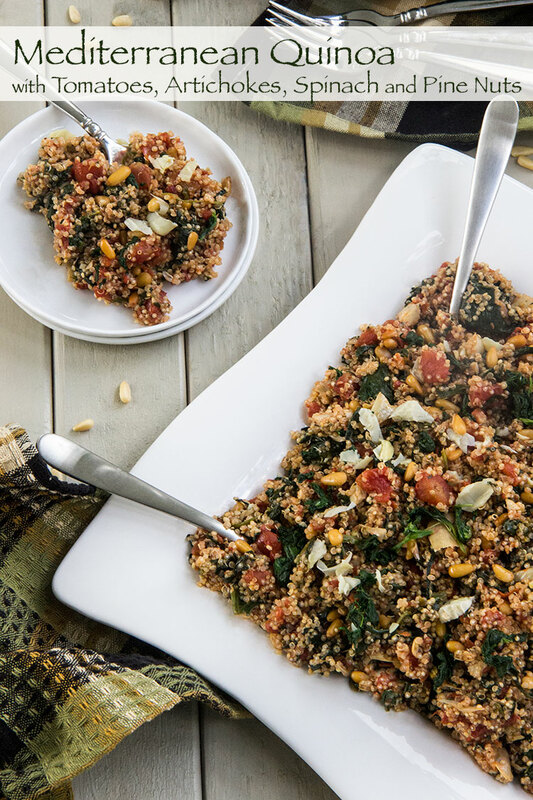 Turn off the heat and add and combine the cooked quinoa and toasted pine nuts. Serve. *I estimate approximate nutrition information using the Verywell Recipe Nutrition Calculator. My family loves quinoa and I make it almost every week. I cook it in my rice cooker and it comes out great! 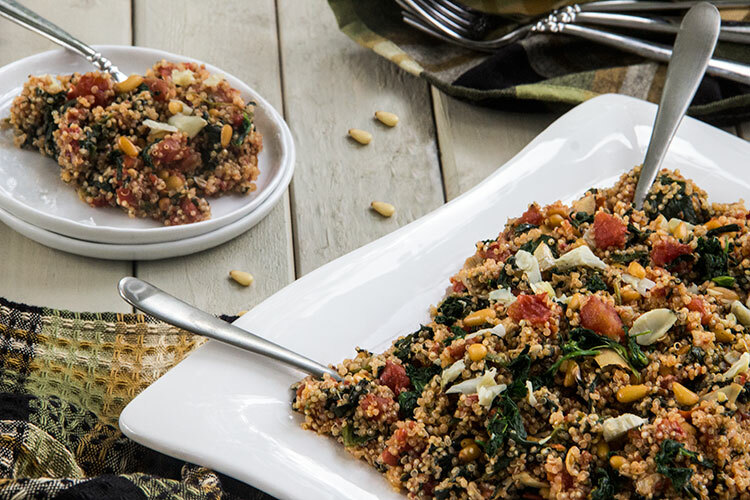 I’m always looking for new recipe ideas to make with it so the artichoke hearts, spinach and the toasted pine nuts add a nice touch to this quinoa dish. Love the pics of Banff – especially the one in the garden with the stone arch – so beautiful! 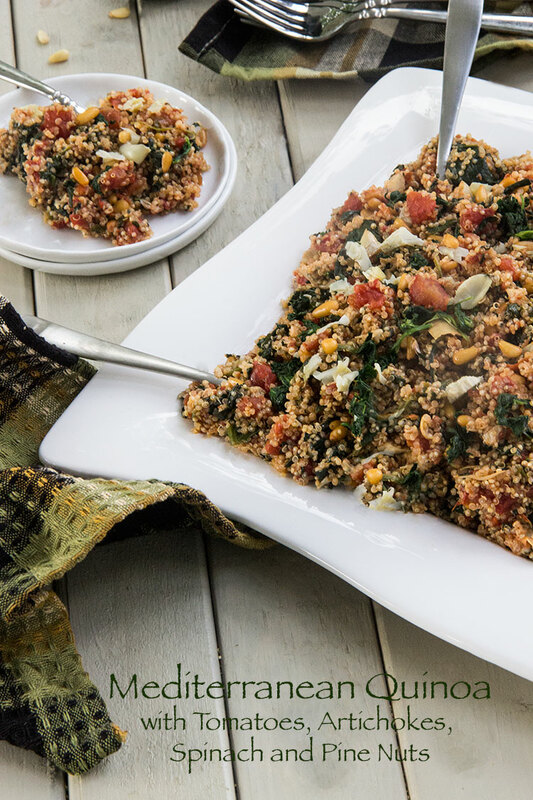 I love the fact that this quinoa salad is so packed with flavor! There’s nothing worse than a flavorless quinoa salad. And artichokes are one of my favorites! A delicious recipe and beautiful photos! I am excited to try this dish! Thanks for sharing! Okay, next time I try this recipe, I’m going to follow the directions exactly… I was in a hurry and didn’t saute things and the end product seemed so bland. 🙁 That makes me sad, cause I love all of these ingredients separately, so I thought they would be delicious together! Also, the recipe says this makes 6 servings?? That would be 6 MAN-SIZED servings… holy moley, we ended up with a lot of leftovers. Will try again, hopefully with better results. Thanks for the recipe! I just made this recipe for dinner and it tastes healthy and delish! The only variation is that I added some crumbled goat cheese when done. I figure crumbled feta would work just as well. And yes, good quality sea salt and freshly ground pepper help bring out the flavors. I used about 3/4 of the can of artichokes, instead of 1/2, because I love them. I will definitely make this again. 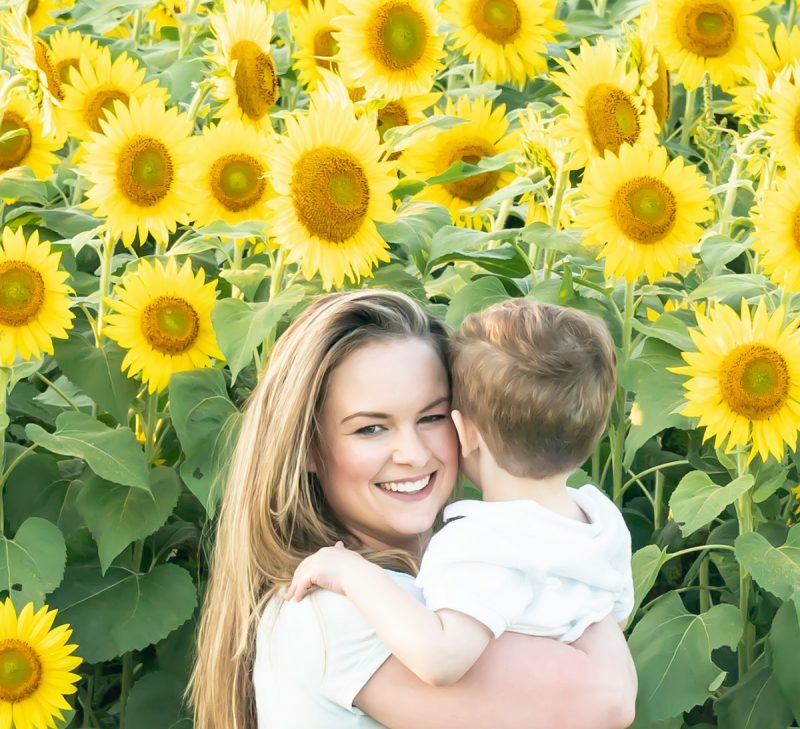 Thank you for sharing – yum!